Gold Tone Aluminum Showcase 34" x 22" x 3"
Price is $15.00 cheaper it you come in and pick up the case in person. Price includes a special $15.00 UPS approved shipping box. Shipments of two or more can go by motor freight without the $15.00 UPS safe box, however the shipping cost are higher than UPS until you order 3 or more and then motor freight is cheaper. The case features tempered glass, Riveted construction, Keyed cylinder lock, Masonite bottom. Built in support arms, and weighs less than 15 pounds. 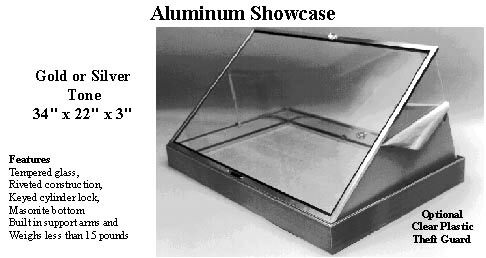 Silver Tone Aluminum Showcase 34" x 22" x 3"
Price is $15.00 cheaper it you come in and pick up the case in person. Price includes a special $15.00 UPS approved shipping box. 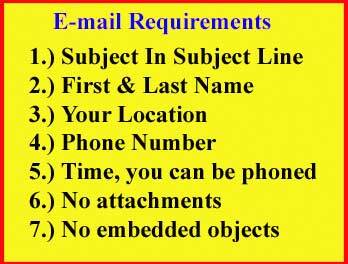 Shipments of two or more can go by motor freightwithout the $15.00 UPS safe box, however the shipping cost are higher than UPS until you order 3 or more and then motor freight is cheaper.